Storybook Link Up - HAPPINESS IS WATERMELON SHAPED! I love the blogger who is starting this link up! Paula's from Australia, and she has really fun and engaging ideas. I also LOVE to hear about the books that she is reading because they are often books that are totally new to me, and I am always looking for a new book to read. The story is quite simple. The bear on the cover has lost his hat and is looking for it. Eventually, he realizes that the rabbit has taken it. My students were totally mystified by what happened to the rabbit after the bear gets his hat back, and in the book, you can't tell if the rabbit simply ran away, got sat on by the bear or the bear ate the rabbit. The kids kept making predictions, but none of them could PROVE what happened to the rabbit. It was a very lively discussion, and on the second day of school, no less. Plus the illustrations are adorable! Thanks, Paula for starting the link up; I'm excited to get more book ideas, too! 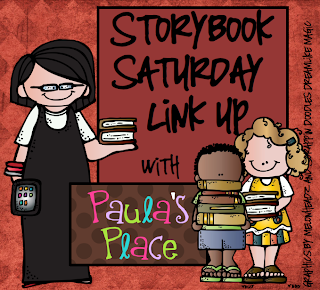 If you want to check out the original posting, click on the Storybook Saturday Link Up graphic at the top of this post, and you'll be delivered right to Paula's blog. 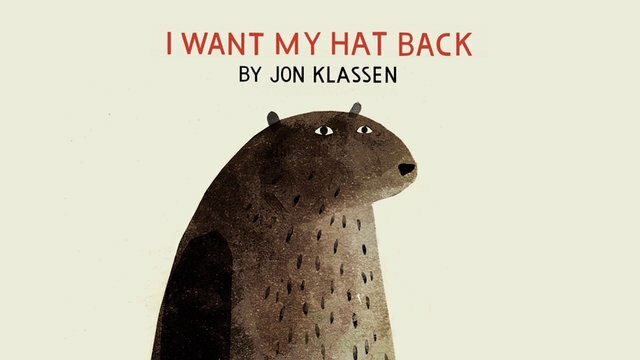 I Want My Hat Back is a great book!